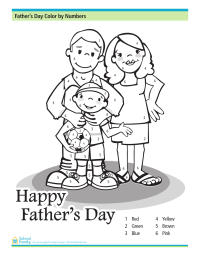 Use this Father's Day-themed color by numbers sheet to practice learning numbers and colors. 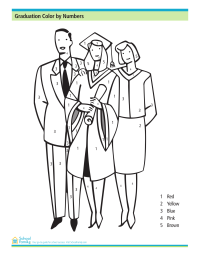 Use this graduation day-themed color by numbers sheet to practice learning numbers and colors. 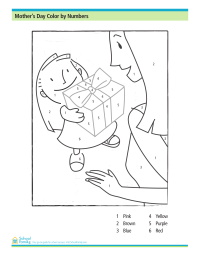 Use this Mother's Day-themed color by numbers sheet to practice learning numbers and colors. 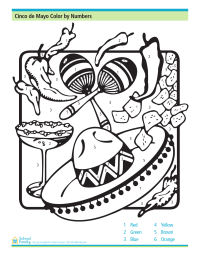 Practice numbers and colors with this Cinco de Mayo-themed color by numbers worksheet. 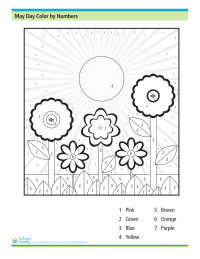 Use this May Day-themed color by numbers sheet to practice learning numbers and colors.